Roll your shop carts and mobile workstations smoothly around the shop. When you want them to stay put, simply press down the locking levers with your foot. With their convenient foot-activated locking levers, these casters go from gliding effortlessly across your shop, to staying firmly in place for machining operations. The levers lock out both the rolling action and the swiveling action, creating a rigid, stable work surface anywhere in your shop. 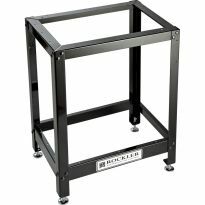 Ideal for use with Rockler Router Table Steel Stand (#48426, sold separately) and adjustable shop stands, as well as shop carts, mobile workbenches and more. Each caster has an integrated 1" long, 1/2"-13 threaded stem for attachment to your stand, cart or bench. Each wheel measures approximately 2-3/8" dia. x 1-3/16" thick. Load rating is 110 lbs. per caster, 440 lbs. per set of 4. My table is stationary but easy on rolling it out to clean ect makes casters very convenient. These worked perfect for the router table and lock down great and are solid when fully locked. Not in use very long, so far so good. These wheels lock great and hold. 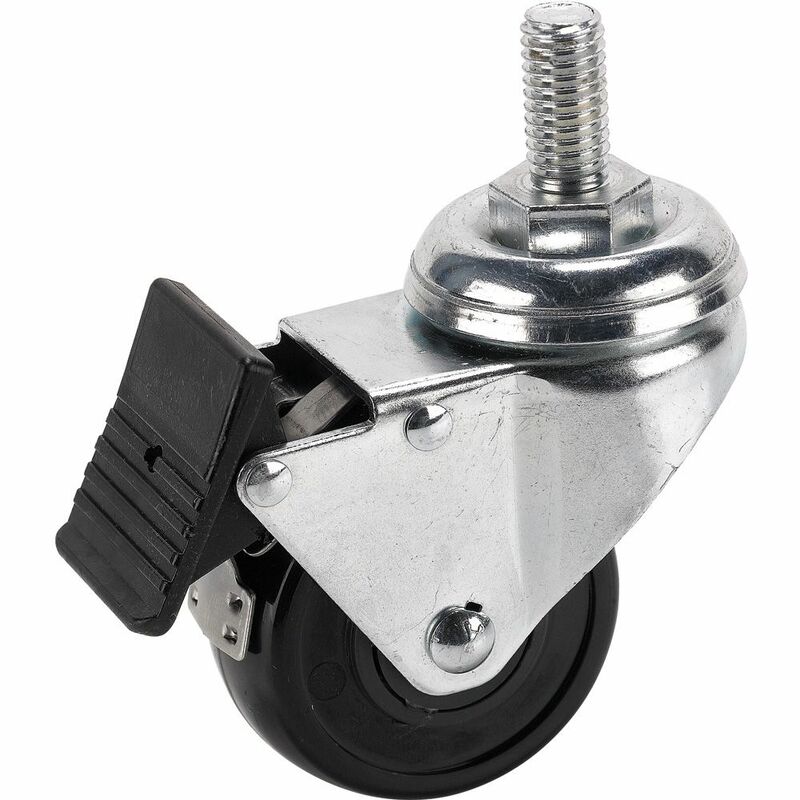 i love these casters, they are strong, well built and lock down solid. I'm putting these casters on all my stands. Wonderful product wonderful buying experience. They arrived on time, they were easy to install, they were exactly what I expected. I enjoyed the shopping experience and will continue to shop at Rockler. I used them on a Rockler metal frame to mount my mini-lathe on. This weighs over 100 lb but rolls around easily. See Richard C review of Feb 22. 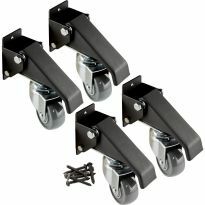 If you are looking for caster mounts that are strong and sturdy, I found these to be excellent. For further details, look at what I wrote about the casters. Great accessory to Rockler 24" x 36" table. 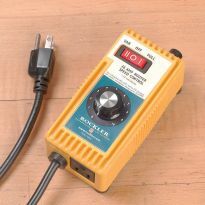 Purchased to use with Rockler table to make portable. Works great. Takes some adjustment to get each foot height, but not difficult. Will purchase again with another table. 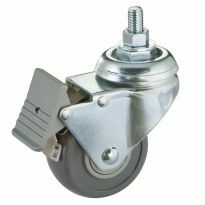 These casters are well constructed, easy to install and roll easily. Good product for the price. Were as expected. These casters are well built. Large studs that I needed for my application,wheels are very good and the locks are easy to engage and release. I put these on my radial arm saw stand and they worked great! Just as promised work great. 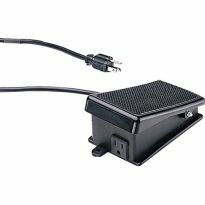 Ideal caster because of the easy on/off lock. Just a touch of the boot tip does it. They installed easily and it is so much more convient. I would wait until they are on sale to purchase as they are expensive. Put these on my jointer stand work very well and I can move my jointer around. Outstanding and were as describe they work great. I used them on a portable bench top table saw which I had mounted to a universal tool stand. I was always having to pick it up and "carry" it around my shop or on a job site. After mounting them the stand it is a pleasure moving it around and they roll so easy and the locking and unlocking the wheels could not be easier. I will purchase these again and mount to anything I want to move around. The pricing is very completive as well. Bought these for my Dewalt Scroll Saw stand as recommended. Installed super easy and work well. They added enough height to my scroll saw I can stand up and not hunch over. The locking mechanism works very easily and holds well. I accidentally bought two sets but I think I will keep the second set for a future project. These casters are perfectly matched to fit the stand. I use rollers on all my larger shop components so I can get all the space available depending on the work I'm doing. Very good product a must have for the Super Max 19-38. I have purchased five sets over the years. They work great on the Rockler router table and on old Sears stands. I have made three Sears stands into moving tables. The tables are great around the shop to move where needed - lock down - and use. Very heavy duty and well built. Perfect replacement for the rubber pad feet on my vintage Craftsman table saw. great wheels I put them on a cabinet I made for my table saw. The stands roll so easily on these casters and lock so securely nothing is going to move! The locks are a breeze to use. They are easy to install and work well. Long term reliability of the caster is yet to be determined. 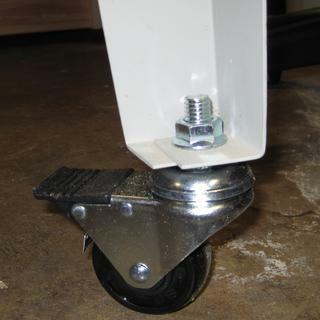 Excellent casters allow you to easily move stand yet sturdy and stable when locked. Locks BOTH rolling and swiveling simultaneously. I also like that all 4 casters in set have locks. I was concerned before purchase that wheels were urethane, i.e. "plastic", but these wheels seem be be high quality and roll smoothly over concrete floor and somewhat rough irregular surfaces. Great value and quality. Perfect fit for my not so new Ridgid bandsaw. Worked great on my Table Saw. Worked perfectly on my Craftsman Portable Table Saw. I didn’t even have to drill holes, I just replaced the pads that were bolted to the legs. Excellent casters. Locking and unlocking is easy with one foot. 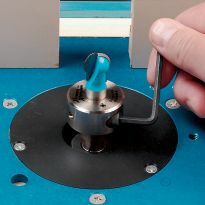 Easy to install on the rockler router table. Rolls easily and locks securely. That’s all you need in a caster. Bought for easily moving my Rikon grinder and stand aroud my small work shop. I bought the 4-pack Rockler Caster set because it was on sail. I only need 3 casters to mount on my Grinder stand. What to do with the one extra caster? The three casters however make my Grinder stand very mobile. Great caster set and for the money, too! These casters, used for a grinder stand work as promised and fit the stand perfectly. I wanted to be able to move my router table around the garage and lock it down when it was in the right place, and this does it.. These are well made and work great. Installation was easy. The Rockler casters were very good quality and installation was easy. These locking casters were used in place if the rubber feet under my Ridgid jointer weighing 200 pounds (after enlarging the holes for the original feet). It allows the jointer to be easily moved for cleaning around it and when locked they keep the jointer from moving even when I push heavy boards across it. These were my 2nd set -- the 1st set was used under my Rockler router table. Easy to install. Should have bought them when I first bought my router table. I have limited space, this allows me to roll a tool out for use and put it back when not needed. I ordered these to make my lathe stand mobile. I liked the design that when you lock the wheels it not only locked the wheel but also locks the pivot as well. 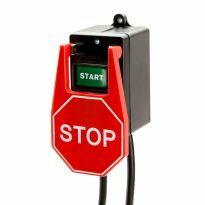 Was on sale - provides great capability to move shop stand around the shop. For my Craftsman's radial arm saw to give it mobility. To make my router table easily movable. Needed wheels for my stand. Because I needed to make two Rockler metal framed work benches mobile. Appear to be quality casters. Need for mobility in shop. I wanted to be able to move the table from a storage spot on to my shop floor due to limited space. bought the router table and Triton router package and needed to keep it mobile. Have a set and very pleased with locking and thread mount. Have them on my other stand. great for moving stand around. So my router table could be moved around in my garage, limited space. Needed to have a mobile stand. I have a set of these already and they are great! When locked they keep my router table from moving and swiveling. They're also easy to lock and unlock. Much better than the casters that only lock the wheel and not the swivel! Small shop, need stands that I can roll around. They are made for the Router Table I purchased. Looks like just what I needed for my table saw. what size roman insert do you need for the thread of these castors? Are these safe for hardwood floors (hickory)? BEST ANSWER: Admittedly I have not used these casters on hardwood floors as I use them in a shop that is currently only sub flooring. That said you should know that the caster are hard plastic, not the softer vinyl type (grayish). I have pine floors in my home and most any caster leaves a mark if there is any weight to what is being supported by hard casters and if very heavy even soft casters could leave indentations. I will say that these casters never have left any marks on the subflooring. I use mine on concrete. These should not mar your floor- unless you have a very heavy load on them and they roll over a nail, etc. It would be the nail that mars the surface not ther wheel. I'm certain that if used within the weight limit guidelines the caster would be intirely safe for a hickory wood floor. Their are similar to office chair caster in composition I believe. I am using mine on a concrete floor, however as long as nothing get trapped under a wheel when moving they should be sfae on hardwood floors. Does the 3 1/2" overall height of the caster include the 1" threaded stem ? Or is the stem additional height? BEST ANSWER: The stem is an additional height. In the picture - the 3 1/2" overall height is from the bottom of the wheel(touching the floor) to the nut on the stem. No. That's the distance from the bottom of the wheel to the top of the base. What is the diameter of the bolts? If you read the Features: Each caster has an integrated 1" long, 1/2"-13 threaded stem. And the answer is: 1/2"
I used a 1/2 inch drill bit to ream out the holes of my stand legs. Fits perfectly. Till this really hold 440 Lbs? Has anyone used for more weight? Thanks for your help! BEST ANSWER: Although I have not put that much weight on mine, I'm sure they could easily handle the weight - they are very heavy duty. I have a drill press and thickness planer on mine. Each caster is rated for 110lbs. I would not attach a 440lb load to a moveable machine stand as I would consider it dangerous. Too top heavy ! I installed 4 of these on the legs of my lathe. It's not 440 lbs, but the castors work very well -- the locking feature was vital in my case. Would four of these work for a wood storage cart? BEST ANSWER: They should do the job very easily. You have a 110 lb. load rating for each caster, so unless your storage cart is over 440 lbs. when fully loaded you should not have a problem. Yes, as long as the weight does not exceed the limit of the wheels. Sure if it wasn't heavy duty. will these 1/2" threaded casters fit the Jet 22" scroll stand without any modification? my leg set has no plate on bottom to accept caster stem; has plastic leveling feet. It's a Ridgid set. What's next? Already bought the casters. is there any way to drill a hole in the bottom of the foot? i think it's a 3/8 bolt. The person answering my question did not know nor answered my question. Will these casters fit a Jet 22" scroll saw stand w/out any modification??? BEST ANSWER: First off, I do not really understand why you would want wheels on a scroll saw stand, but as long as there are holes in the stand for wheels, you should have no problem directly installing them with no adjustment. Thank you for the information. I need the casters to move scroll saw to my work area. I was trying to make sure the holes on the stand will fit the caster stems without any modification, i.e. enlarging the holes etc. Sorry, I don't know. I use them on the Rockler metal tables/stands for metalsmithing equipment. I don't know. I purchased them for a different purpose. Do you have 5" diameter wheels & casters like model 47034?. BEST ANSWER: I do. I attached them to my Router table. The work great. I had to drill a larger hole so they fit, but that was all I had to do. That's a question for Rockler. I have no such size casters. yes and they work very well. Are these casters suitable for a Grizzly Shaper, about 225 pounds total weight? BEST ANSWER: The casters are heavy duty. Your application seems to be well within their capacity. Very heavy duty. Shouldn’t be an issue. Can the stem be removed and replaced with a longer bolt for other applications such as mini lathe stand? BEST ANSWER: It didn't look like it. You might attach a coupler to it and some all thread, but that doesn't sound sturdy enough. Best to buy the actual article you need. No, but a threaded rod coupler could be used with a piece of all thread. Has anyone fitted these casters in a nova comet stand? Direct question is do they fit?